Chris Gayle's unbeaten 63-ball-104, his 21st hundred in shortest format propelled KXIP to 193 for 3 in 20 overs and they then restricted Sunrisers to 178 for 4, recording their third win in the tournament. 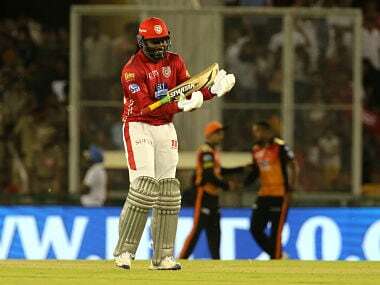 Mohali: Chris Gayle gave a fitting answer to the sceptics with a blistering hundred as Kings XI Punjab overpowered Sunrisers Hyderabad by 15 runs in an IPL encounter, here tonight. 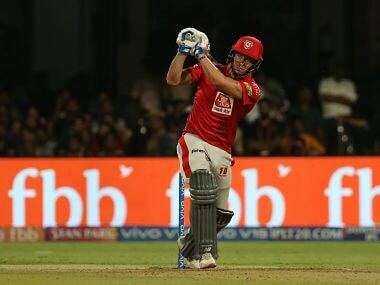 Gayle's unbeaten 63-ball-104, his 21st hundred in shortest format propelled KXIP to 193 for 3 in 20 overs and they then restricted Sunrisers to 178 for 4, recording their third win in the tournament. For Sunrisers, it was their first defeat after three successive wins. 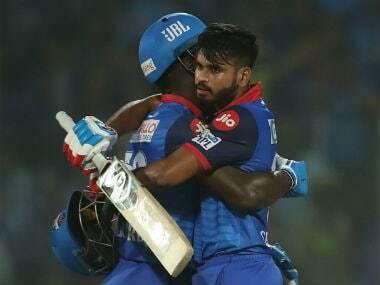 A cornered tiger can be dangerous and Gayle showed why he has taken the initial lack of interest of franchises to his heart. "A lot of people thought I'm too old. 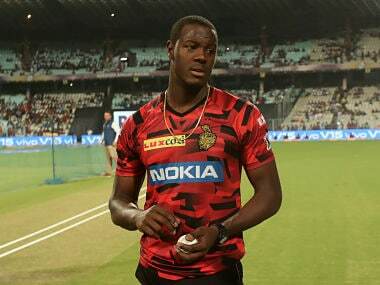 After this innings, I have nothing to prove," Gayle said immediately after his knock. 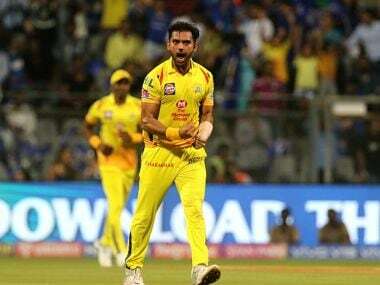 While chasing, Sunrisers' were dealt with a blow at the onset when Shikhar Dhawan was hit on the elbow off the very first delivery that he faced from Barinder Sran. Wriddhiman Saha (6) tried a cross-batted heave only to be clean bowled in the process by Mohit Sharma. Yusuf Pathan (19) got two reprieves with Ashwin and Yuvraj Singh dropping sitters off Mohit and Barinder Sran's bowling respectively. Mohit however had the last laugh as the former India player dragged one back to his stumps. Pacer Andrew Tye (2/23 in 4 overs) and rookie mystery spinner Mujeeb ur Rahman (0/26 in 4 overs) then stifled Sunrisers in the middle overs despite Kane Williamson's 54 off 41 balls and Manish Pandey's unbeaten 57 off 42 balls. In between themselves, Tye and Mujeeb bowled 15 dot balls, which proved to be crucial in the end. Even Barinder Sran (0/22 in 4 overs) was economical opening the bowling. Earlier, Gayle scythed through Sunrisers Hyderabad bowling attack with a 21st T20 hundred firing Kings XI Punjab to 193 for 3 in 20 overs. Arguably one of the greatest exponents of T20 batsmanship, Gayle showed that he is far from finished en route his magnificent knock that had 11 towering sixes and a solitary boundary. Gayle's 58-ball-hundred incidentally is the first of this edition of IPL and also against a bowling line-up that is being touted as the most balanced of all eight teams. Gayle moved to 99 with his 11th six hit off Bhuvneshwar Kumar over long-off. In Siddarth Kaul's next over, he dabbed the ball towards point to complete a quick single. As a mark of celebration, Gayle gestured rocking a baby in a cradle, with his wife and daughter in the VIP box. "This hundred is dedicated to my daughter. Tomorrow is her birthday," the doting father said. The first 50 came off 39 balls and he took a mere 19 balls to complete the second 50. Each and every six was signature Gayle. Minimum footwork and maximum power behind the shots. It was the 14th over of the innings when Gayle actually turned the heat on. Already batting on 51, he smote leg-spinner Rashid Khan for four consecutive sixes. The first was over long-off, followed by a couple down the ground hits landing into sightscreen. The fourth six was slogged in the deep mid-wicket region. "This is a good wicket to bat on, just have to go out and defend it. I am very dedicated. Since joining Kings XI, Sehwag told me to stick with the yoga guy and a massage guy, that's the secret, I guess (laughs). In a week's time, I will be able to touch my toes," Gayle said in jest.